﻿ Pictures of the Camping and Caravanning Site at Mid Wales Bunkhouse, Tipi and Camping at Woodhouse Farm, midway between Rhayader and Llanidloes. 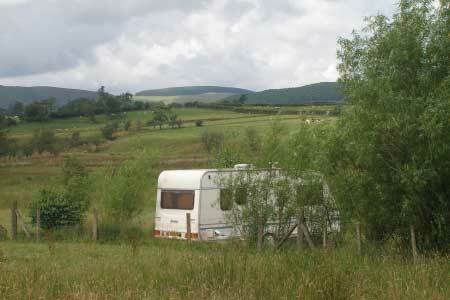 Picture gallery of the camping and caravanning site. These pictures are intended to give you an idea of what the site is like.